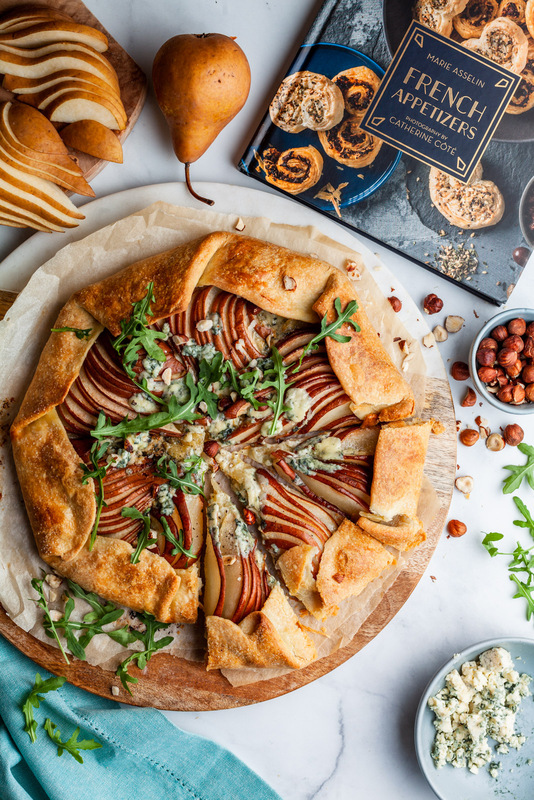 This beautiful and delicious galette comes to us via Marie Asselin from her latest book called French appetizers. The book centers around French appetizers, as the title suggests, otherwise know as L’apéro short for l’apéritif which is a drink served in the early evening to whet one’s appetite. For the French l’apéro is more than drinks and small bites, it’s a tradition and a time to enjoy food and company with friends and loved ones. In her book, Marie talks about having fond memories of her parents having friends over for l’apéro all the time and it made me think of my own parents. From as young as I can remember they always had people over and my mom’s fridge and pantry always had simple eats she could use to create mezze (small plate) platters and always cold beers in the fridge or retsina (resonated wine) to offer - soft drinks and juices were there too. I think that Europeans on the whole are very social by nature and socializing goes very well with nibbles. I’m quite fond of Greek mezethakia (small plate nibbles) but when it comes to appetizers nothing comes even close to how the French do it. I love my culture and all but the truth is the truth - at least in my opinion. I mean wine, cheese, pâté, marinated olives (I’m sure tapas either tie or come in second) baguette, can go from a simple spread to delicious dinner. This book covers some classics and some very modern twists on them. I loved it and absolutely loved this recipe from it. Before I go on to tell you more about the book I wanted to tell you a little more about this recipe. First off I wanted to tell you how much I loved this shortcut pastry. It’s an all butter one and it was simple and delicious. It was a lot smoother and less shaggy than other ones I have made and it rolls out beautifully. It has a very refined finish - less rustic looking than most of my galettes and I will definitely be using this pastry recipe again. The original recipe calls for using whole wheat flour for a third of the crust but I used all purpose for all of it this time cause that is all I had at the time. She also includes a sweet crust conversion for a sweet galette. Can’t wait to try it with some berries. I love savoury galettes though and got very excited about this one. 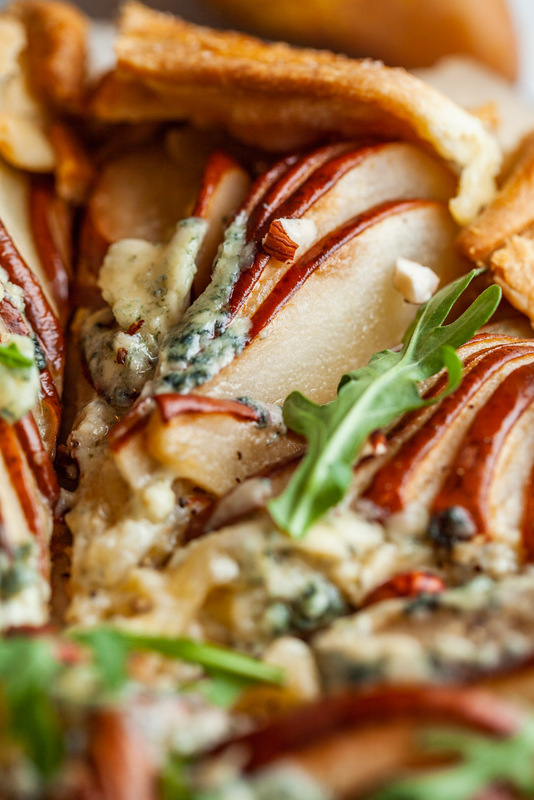 I’m a fan of blue cheese and pear together and had to make it. Mustard is used as the base of the layers on the galette and is one of those condiments that just seems to improve everything it touches. 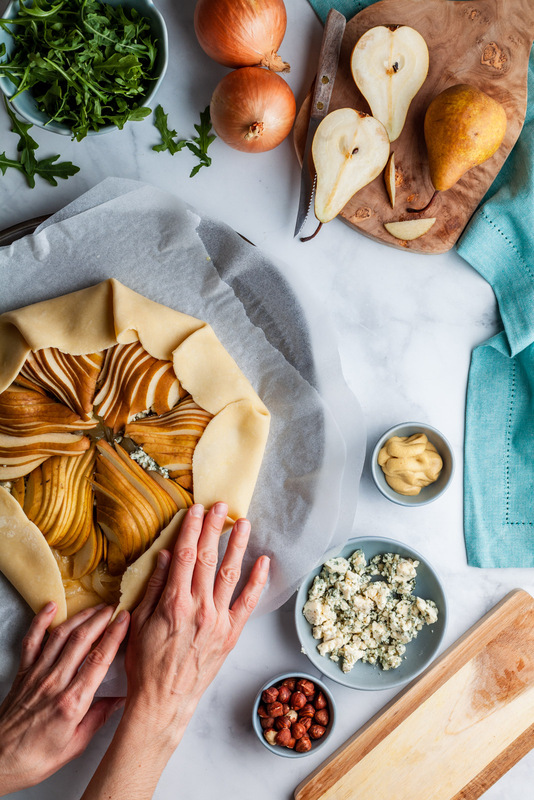 It has a magical combination of acid, salt, and spice and perks up the flavors in so many savory dishes including this galette. 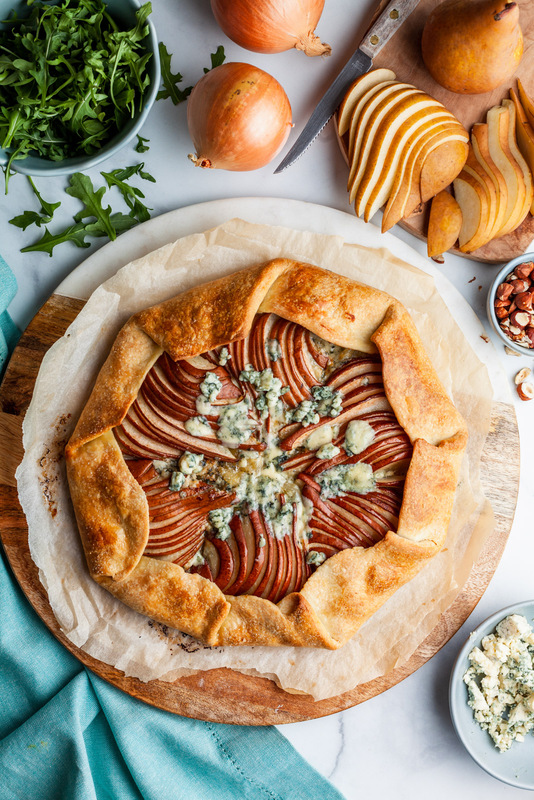 Blue cheese adds a salty, creamy, and savoury note to this galette and the pears add the perfect amount of sweetness. Toasted hazelnuts add a nutty flavour and some crunch and the arugula adds a punch of greens and some freshness and a hint of bitter balancing it all. I loved the combo so much and I also loved it drizzled with some honey. 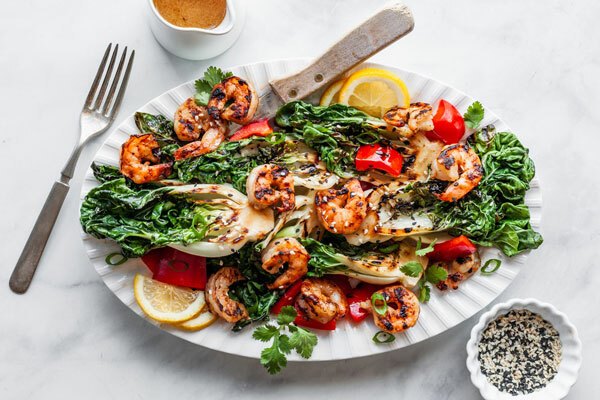 This is the perfect appetizer or meal and goes great with a glass of white wine. It would be great carried along on a picnic as well - which takes me back to Paris summer of 2009 picnicking by the Eiffel Tower barely getting a spot on the grass, guitars strings being strung, songs being sung, children running about…….Paris is truly a special place. It has definitely changed since then (was back in 2016) but that story is for another time. Will definitely be making this again and so many other recipes in the book. Speaking of which let me tell you more about that. The book has 122 pages and each page has clear written and very simple to follow recipes and instructions. Everything is very uncomplicated, something you may not have guessed about a French - food based recipe book. 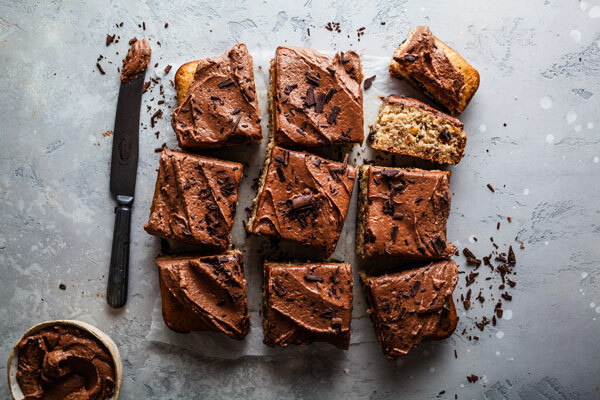 Marie makes things simple and even includes alternative methods of preparing the recipes say if you don’t have a standing mixer or a food processor. The book is broken up into very logical sections starting with basics and condiments which are great to have on hand in your pantry or fridge to help in a pinch for and impromptu l’apéro including dips and that versatile pastry crust used in this recipe. The rest of the sections include small bites including some classic savoury gougères, and one of my favorites - goat cheese truffles and simple instant fish rillettes. 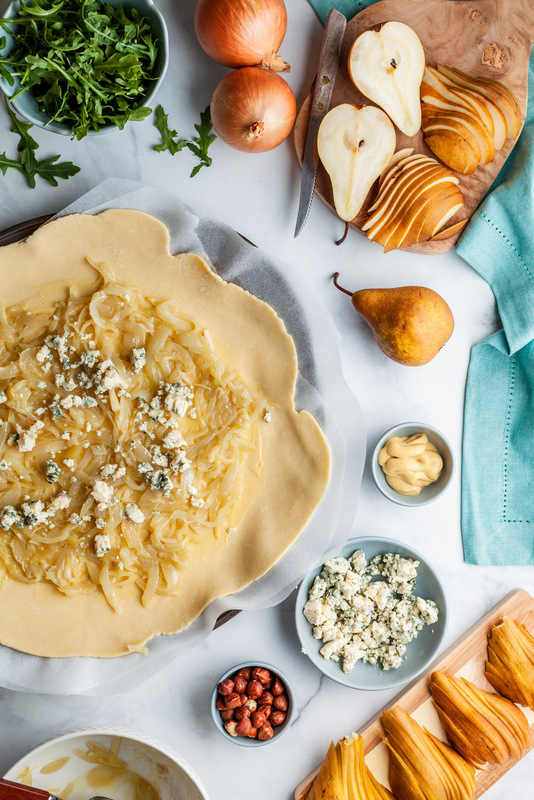 Savoury cakes and tarts are next where this galette is included along with a beautiful tomato,spinach and goat cheese quiche that is on my list to make. Breads, sandwiches, and toasted are the next chapter where she turns croque madames and monsieurs into bites and fingers plus many more tasty bites. Next up are some delicious savoury verrines and I have my eye on a tomato, strawberry and basil gazpacho for the summer from this section. 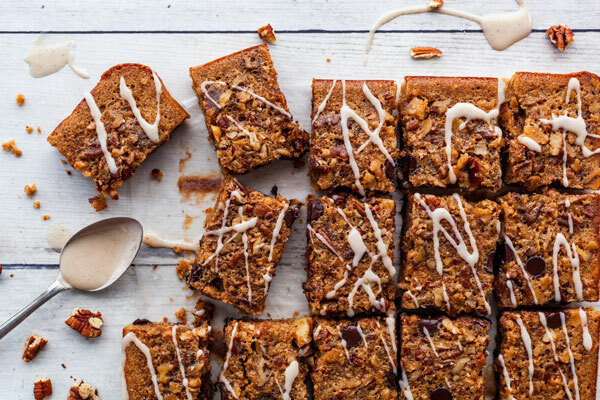 Finally there are slew of sweet bites that look so tempting and delicious. I have cherry cafloutis bites on my list as well as the yummiest looking chocolate tahini sablés. Marie also includes a drinks portion which had syrups, simple cocktails to make with them and even some virgin drinks that are perfect with all the tasty bites. As you can see the book is very well organized and the recipe are well written, clear and easy to follow. Marie also includes a section on planning a stress-free apéro from a last minute one to a full on luxurious one or one that you can pack on the go. She also has some menus sorted if you wanted to plan a vegan one, a dairy free one or one that could feed a crowd. I love the book and I’m really looking forward to including some of these bites into my wine and cheese parties. I haven’t had one in a very long while, since we moved back to Canada in fact - miss my space and miss hosting people over. Soon enough. What I will be hosting though is a giveaway of this beautiful book on my Instagram page so if you want to get your hands on a copy head on over there to check it out. 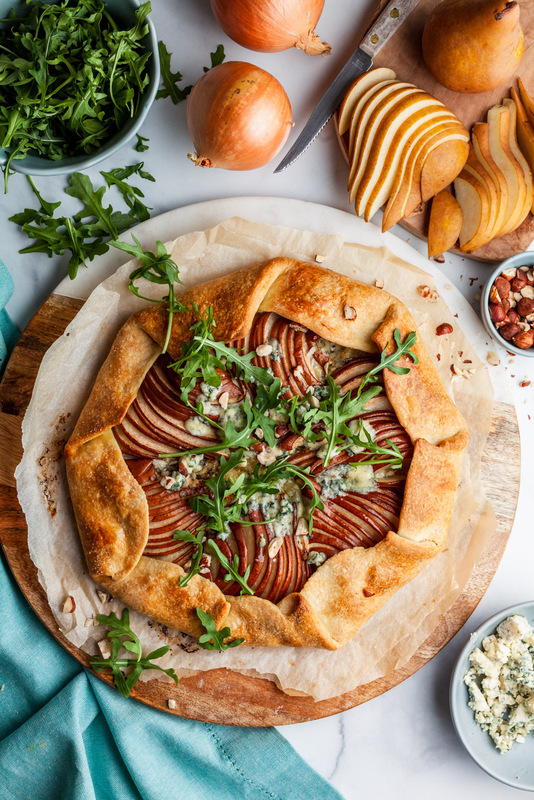 In the meantime enjoy this beautiful savoury galette. Heat the olive oil and butter in a skillet set over medium heat. Add the onions, salt, and water; stir to coat. Reduce the heat to low, cover the pan, and cook until the onion is very soft, stirring from time to time, about 25 minutes. Uncover, increase the heat to medium high, and cook for 2-3 minutes more, stirring from time to time, to evaporate any leftover liquids. Transfer to a bowl to cool. Preheat oven to 425°F. Take the crust out of the refrigerator. Spread with the mustard, leaving a 2-inch border all around, and evenly distribute the onion mixture over the top. Sprinkle ¼ cup of the cheese over the onion. Top with the pear slices, fanning them in circles. Bring the edges of the dough up and over the filling, creasing and gently pressing down onto the feeling as you go. Brush the dough with milk and sprinkle with sea salt. Bake for 30 minutes. Sprinkle with the remaining cheese and bake for 5 minutes more, all until the crust is golden brown. Transfer to wire rack for 10 minutes. Garnish with arugula and hazelnuts and serve. Cut the butter into small cubes and place on a small plate. Freeze for 20 minutes. Pulse the flour and salt together. Add the butter and process for 10 continuous seconds, until the mixture looks like coarse breadcrumbs. Add the egg and process for 5 seconds. Add the ice water and process for 20 seconds. The dough should now start clumping together. Turn the mixture out onto a work surface. The mixture will still be grainy but should hold together when pressed. Using your hands, gather the dough into a ball then flatten into a disk, kneading it as lightly as possible. In a large mixing bowl, whisk the flour and salt together. 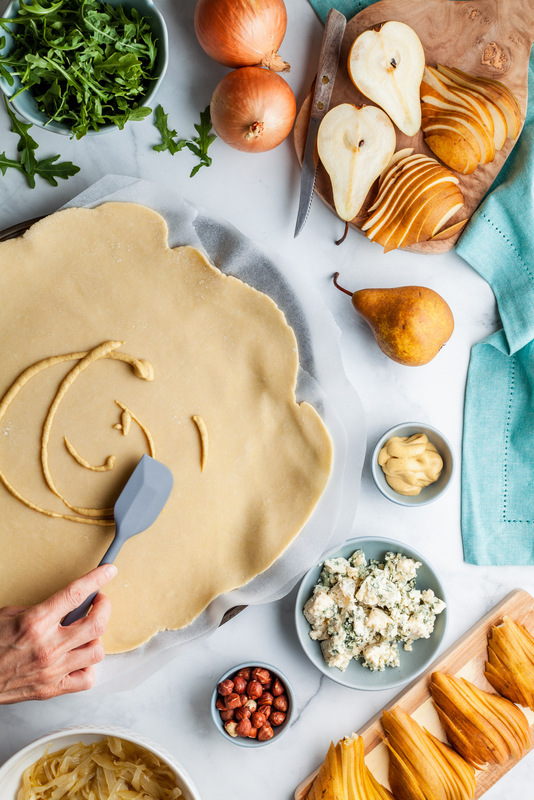 Add the butter and the egg, cutting into the flour using a pastry cutter or your hands until the mixture has a pea-like consistency. Drizzle in the water and continue cutting just to combine. Gather the dough into a ball then flatten into a disk, kneading it as lightly as possible. Roll dough as needed, or wrap the dough tightly in plastic wrap and refrigerate for up to 3 days. You can also freeze the dough for up to 1 month, wrapped in a plastic wrap and placed in a freezer bag.